If you want minimal mess ups, start on the floor. 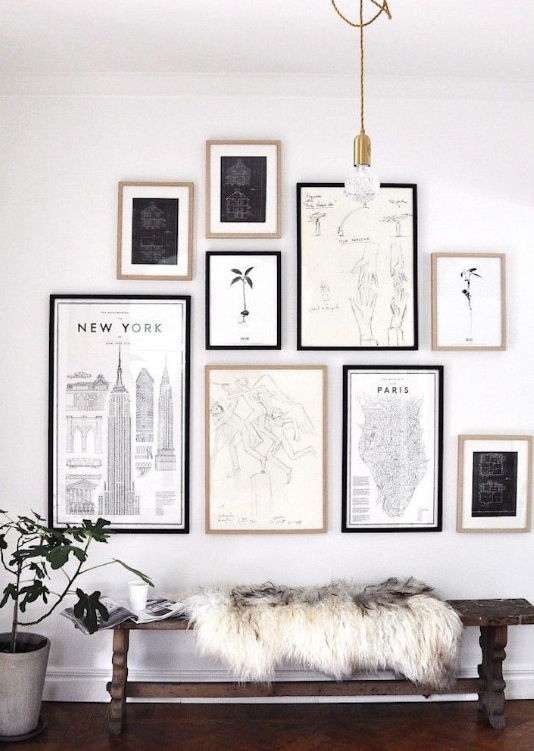 Layout your gallery wall on the floor, setting your larger focal pieces first. Then use craft paper and tape to mimic the shapes on the wall. Lastly, add nails, remove craft paper, and get hanging! If you like the minimalist look, less is more. Stick to a minimal number of colors and frame styles for a simple, clean look. If you like the eclectic look, more is more. Mix and match frame styles of various shapes, colors and widths. If you want the artwork to shine, choose thinner frames. Choose thinner frames that will blend in with the wall they’ll be on to make your artwork and photos really pop. If you want the frames to shine, choose wider more intricate frames. The wider the frame, the more it’ll stand out – a favorite for the shabby chic look. If you want something unexpected, go 3D. Not all gallery walls have to be flat, add in unexpected decor for extra interest and dimension. If you want to keep it organized, add shelves. Skip the hanging of individual frames. Add some shelves and place your frames on top. If you’re in doubt, go simple. 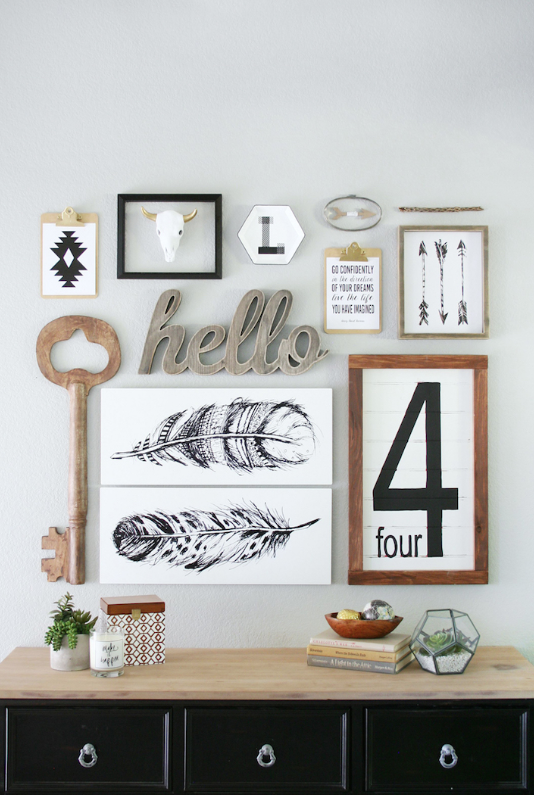 You can never go wrong with a simple gallery wall of all the same frames evenly displayed. Visit our ready-made frame department to make your own gallery wall. Need something custom? Visit our Custom Framers.